Today we have another launch of a new Xtreme blog. This one is into fashion niche, another tough one! Many starters are afraid of going after the bigger niches and just forget the fact that there are also big money! It’s surely hard to make your way to the top but once there you have much more to gain. Update 2011 – We were visiting our old custom blogs and we were pleased to find this one doing good -still the same and in working order. 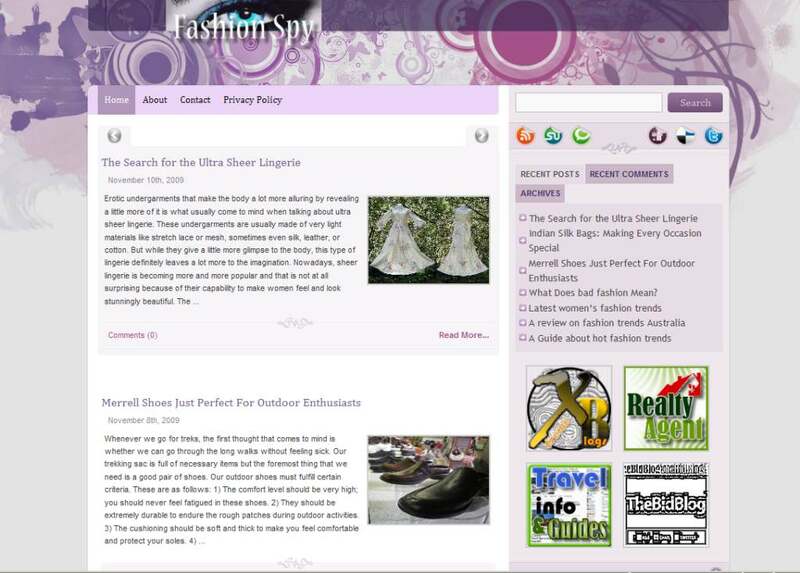 Of course there is a rather long time for a custom blog in time but as a testimonial to the quality we put into this the fashions spy custom blog is a very good one. Creative and amazing plan and organization!